According to a tweet posted by @MuscleNerd, a member of the iPhone Dev-Team, which has authored many jailbreak-related tools and tutorials, iOS 5’s new automatic over-the-air updates shouldn’t make jailbreaking harder. Concerns arose, since automatic over-the-air updates, one of the flagship features of iOS 5, could possibly break jailbreaks whenever a new version of the firmware is released, essentially making a permanent and stable jailbreak unfeasible. While that might be true, a reliable jailbreak would also be able to disable automatic updating altogether. Right now, whenever an update for iOS comes out, users need to download the whole operating system image from iTunes, then hook up the device. The new iOS 5 method would allow users to get smaller updates over the air, similarly to the way it has always been on the Android platform. Of course, the loss of that feature can be a huge letdown for jailbreakers, although many will definitely prefer a totally open device to a more efficient one. iOS 5 was introduced today at WWDC and seems to be one of the biggest upgrades to iOS in recent times. In addition to over-the-air updating, there are a huge list of new features, such as location-based notifications known as Reminders; Twitter integration across the board; iMessage, a new instant messaging client for iOS users; an enhanced Mail client; full independence from desktop computers, with setup wizards built right into the system; and yes, a brand-new notification system, very similar to MobileNotifier. iOS 5 will be widely available in the fall for free, and can be now downloaded by all registered developers, along with iTunes 10.5, required for the new OS, as we have detailed here. 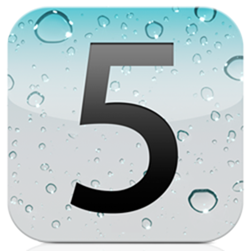 You can read more about iOS 5 on this write-up. Before the keynote, we have also questioned the need for jailbreaking for most users, as Apple’s feature offerings broaden. Despite the lower appeal, we still believe it has a large impact on every iPhone that rolls off the assembly line. You can read more about it here.